The Juki DDL-8700B-7 has been introduced to replace the DDL-8700A-7 model. 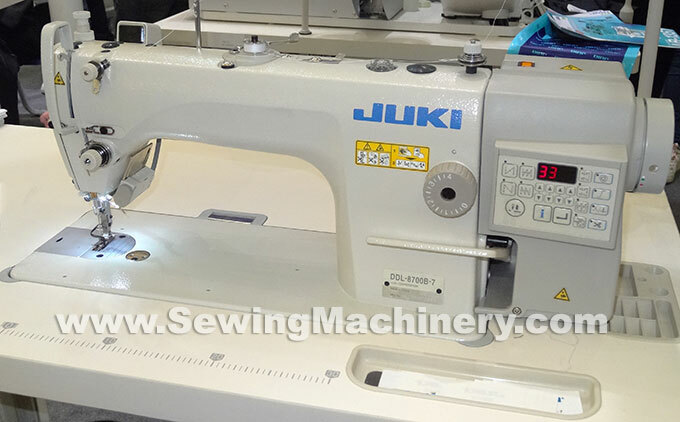 It offers a new lower price by integrating the motor and control as part of the sewing machine head. 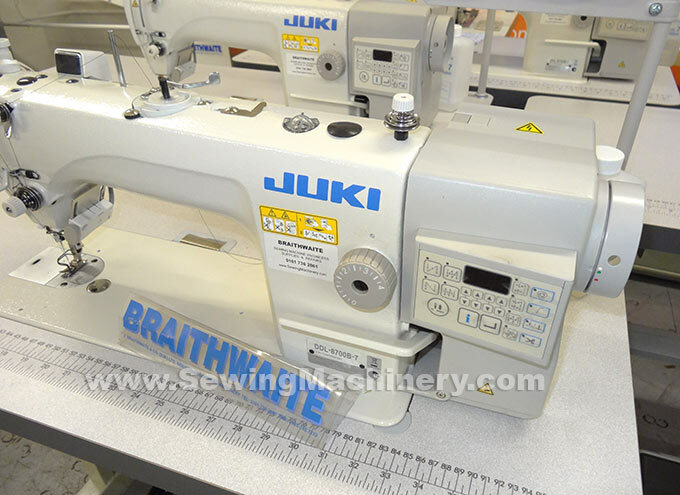 It is a value priced direct-drive, high-speed, lockstitch industrial sewing machine with an automatic thread trimmer and electronically controlled needle position motor. 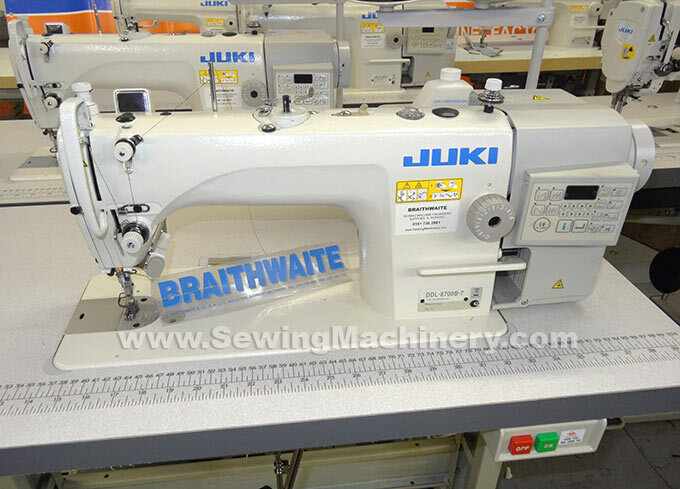 In making this B model Juki used the established DDL-8700-7 model and adapted it by fitting a direct drive style motor system in place of the usual under bench motor. Updates on the DDL-8700B-7 model include a built-in LED needle light which illuminates the area around the sewing foot. A newly designed control panel has been better integrated into the motor housing and now offers more automatic stitch control functions. The main on/off switch is fitted on top of the machine and allows for quicker and easier assembly on to its included unit stand and table top (In Europe a different and larger on/off switch may be mounted under the wooden table top). operator is lightened and productivity is further increased. Control panel built-in to motor housing.